Possessions Comlink (long-range, encrypted), code cylinder, credit chip (5,732c), datapad, recording unit (holorecorder), liquid cable dispenser (15 meters), power pack, holster (concealed), holster (hip), medpac, officers uniform. Lyra Tarkin strives to prove herself to her family, especially her grandfather Grand Moff Tarkin. 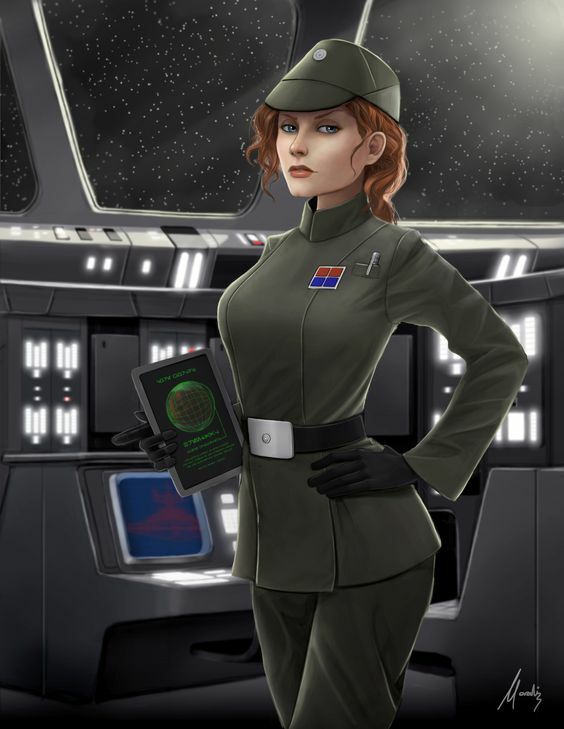 She's very good with people and getting information from them and uses these abilities to track down members of the Rebel Alliance and to climb her way up the Imperial ranks. Lyra is the twin sister of Clara Tarkin and currently serves as a lieutenant in the Imperial Navy onboard the Mutilator as assistant to Captain Roth.